Le Fashion: Would You Wear This Casually Cool Outfit to The Office? Would You Wear This Casually Cool Outfit to The Office? For those of you lucky enough to enjoy the added perks of a casual work environment, we have a new look for you to throw into the rotation. 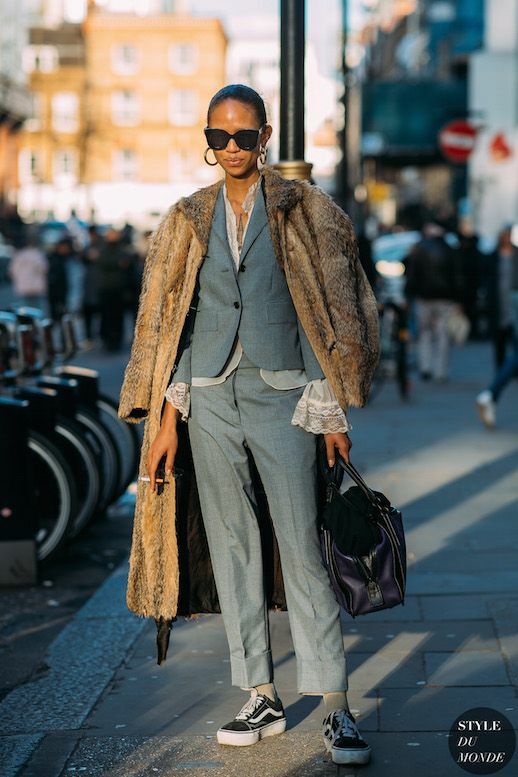 The two-piece suit, while formal enough for any office dress code gets a fashion-forward reboot when paired with casual sneakers, chunky gold jewelry, and some faux fur. You may want to make this your new go-to uniform and we're right there with you.